Update: The U.S. Court of Appeals for D.C. ruled on Aug. 17, 2018, that the U.S. EPA’s delay of the Chemical Disaster Rule was illegal and arbitrary — a tremendous win for the safety of millions of Americans. The court issued its mandate on Sept. 21. The protections are now back in effect. Earthjustice continues to fight the U.S. EPA's rollback proposal of the Chemical Disaster Rule, because the agency should strengthened — not weaken — chemical facility safety standards to protect lives and the well-being of fence-line communities, workers, and first responders. Read our formal comments on the rollback proposal. The Chemical Disaster Rule was delayed for 1 year, 191 days. During that time, at least 73 publicly known incidents occurred across the country. The U.S. EPA is still considering its proposal to rescind the rule’s prevention measures permanently and to weaken and further delay emergency response coordination and community information requirements. Earthjustice continues to fight the rollback proposal. On May 24, 2018, the Chemical Safety Board released its Final Investigation Report on the Arkema disaster. As Chairperson Vanessa Allen Sutherland explained in announcing the findings: “Considering that extreme weather events are likely to increase in number and severity, the chemical industry must be prepared for worst case scenarios at their facilities. We cannot stop the storms, but working together, we can mitigate the damage and avoid a future catastrophic incident.” The CSB also released a new video, entitled Caught In the Storm: Extreme Weather Hazards. 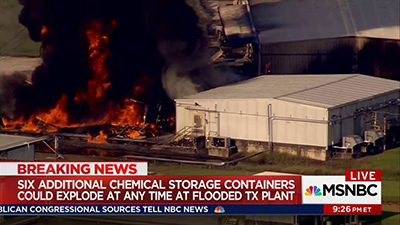 The disaster at Arkema was one of many at U.S. chemical facilities that showcase how inadequate safety measures can threaten public health. It’s also the kind of scenario that led the EPA in January 2017 to finalize tighter regulations known as the Chemical Disaster Rule. The Chemical Disaster Rule amends EPA’s decades-old “Risk Management Program,” in response to EPA data showing thousands of fires, explosions, and other chemical releases that the existing framework had failed to prevent. The scene at the Arkema chemical facility in Crosby, Tex., about 20 miles northeast of Houston, on Sept. 1, 2017. But these life-saving protections were stuck in limbo after EPA Administrator Scott Pruitt issued a delay of the rule, postponing it until February 2019. Scientists, community groups and health groups represented by Earthjustice, together with workers and concerned states, sued the EPA to get the delay overturned and the rule back on track. On May 17, 2018, the EPA revealed a shocking plan to gut the Chemical Disaster Rule by deleting all accident prevention program provisions at the request of the oil and chemical industry. The decision shows that the Trump EPA is aiming to weaken safety measures instead of protecting the lives and health of the American people. These facilities are in our communities: About 177 million Americans10 live close enough to one of these facilities—and one in three schoolchildren11 attend school near enough—to be potentially affected by a chemical disaster, according to EPA data. Mr. Marquez traces his civic activism to push for a cleaner, safer environment to the day four decades ago when deadly explosions at the oil refinery opposite his family’s house knocked them off their feet and sent a fireball overhead. He ran outside and jumped over a fence, and then heard a woman’s voice begging him to stop. “In just the last year we have had numerous chemical releases, fires and leaks. On one day, June 26, 2017, we had not one, but two refineries near me malfunction and release dangerous chemicals. 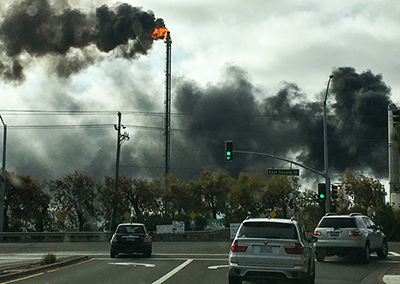 “Less than nine miles away at the Tesoro Refinery, a hydrogen sulfide release prompted workers to set up barricades to isolate the area and take air quality samples. The dangers of exposure to hydrogen sulfide range from nausea, headaches and dizziness to death. “My activism comes from a near-death experience. Forty years ago, when I was only 16, the Fletcher Oil Refinery across the street from my family home exploded, knocking me and my family off our feet. “It was just like you see on TV and war movies when they show an atomic bomb going off, there was chaos all over. “A second explosion sent a huge fireball across our house, dropping a giant metal storage tank in the middle of the street. The explosion killed five and injured 154. I remember running down the street, jumping over a fence, and hearing the cries of a woman from behind. “After I lifted my brothers and sister over the fence and as I jumped over, I heard a voice calling me. She said, “Boy, boy, please turn around.” I turned around and there was a woman with a baby in her hand, about six or seven months old. She was burned, the baby's blanket was burned, and the baby's face was burned. She said, “Please save my baby.” She then threw the baby over the fence like a football for me to catch. i“CSB Releases Final Report into 2015 Explosion at ExxonMobil Refinery in Torrance, California.” U.S. Chemical Safety Board. May 3, 2017. That release has led the South Coast Air Quality Management District to propose banning and phasing out any use of the toxic chemical hydrofluoric acid, but that ban has not yet been finalized; Green, Nick, “AQMD proposes ban on toxic hydrofluoric acid at South Bay refineries.” Daily Breeze. January 17, 2017; Green, Nick, “Manhattan Beach joins chorus pushing for ban of toxic chemical used at Torrance refinery.” March 21, 2018. Jesse Marquez founded the Coalition For A Safe Environment to rally residents of his hometown, Wilmington, California, to fight for their own safety and welfare. Communities of color are disproportionally exposed to and hurt by these disasters, according to a national report by the Environmental Justice Health Alliance for Chemical Policy Reform, and EPA data. “No one should have to live like this,” says Pam Nixon, who lived for years in Institute, West Virginia, and now lives in nearby South Charleston—a part of the state long known as “Chemical Valley,” historically home to one of the largest concentrations of chemical plants in the U.S. Dangerous chemical facilities are disproportionately located near heavily African-American communities like Nixon’s neighborhood in Institute. In 2008, an explosion in the pesticide manufacturing unit at Bayer CropScience in Charleston killed two workers and injured eight. “The metal shrapnel from the fireball in 2008 could have damaged a nearby tank of highly toxic methyl isocyanate, which would have sent deadly gas into the surrounding neighborhood. The community had expressed safety concerns about the danger of this toxic gas for years. This same substance killed thousands in Bhopal, India, in 1984.i The 2008 disaster was so bad it finally caused Bayer CropScience to cease using methyl isocyanate, though they still operate in the area and manage other dangerous chemicals. “In 1985, more than 100 residents were treated after a toxic cloud of deadly chemicals was released at the Union Carbide Plant in Charleston. “This area of West Virginia, where I live, has been called ‘Chemical Valley’ because of the industries handling dangerous and cancer-causing chemicals. “My neighbors and I live daily under the threat of serious injury and death because these plants handle such dangerous substances. I’m in my 60s, and throughout my life, I’ve had to tape up my windows, shelter in place and try to hide from contamination. No one should have to live like this. “And instead of working to protect people around the nation that face the same threat, what did Trump and Pruitt do? Put higher corporate profits above the need to save our lives. The EPA delayed the Chemical Disaster Rule, even though the EPA had already spent years assessing the danger and found a strong need to issue the new safety measures in that rule to keep us safe. iBroughton, Edward, "The Bhopal Disaster and Its Aftermath: A Review," Environmental Health 4, no. 1 (2005). doi:10.1186/1476-069x-4-6. Pam Nixon is president of People Concerned About Chemical Safety and a member of the Board of Directors of Ohio Valley Environmental Coalition. Hilton Kelley Port Arthur, Tx. Last September, shortly after the hurricane struck, fire broke out at the refinery near Kelley’s home as workers were trying to get it running again. He and other local residents were ordered to stay inside shelter, he says. “I take my granddaughter to the park twice a week but I can’t really enjoy my time with her because I’m worried about her being harmed by toxic substances,” he says. 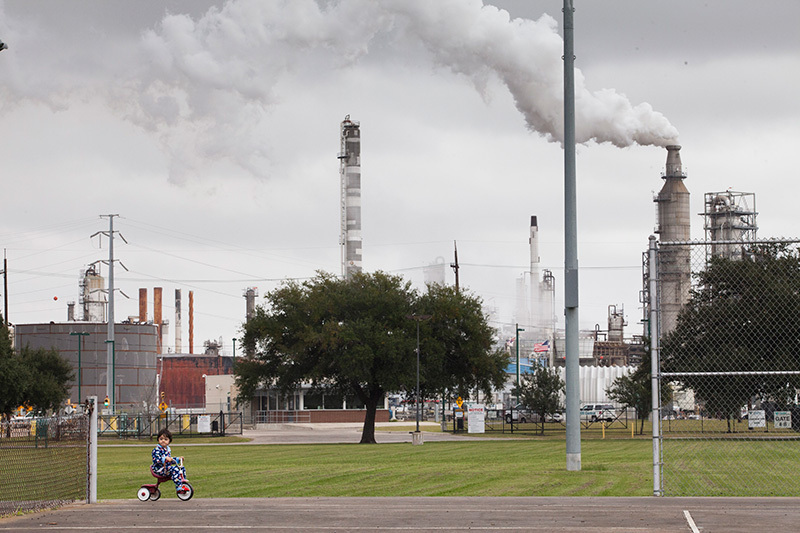 “I live within miles of the Valero Premcor Refinery, along with the Motiva Enterprises Refinery and the Total Port Arthur Refinery. Also nearby is the Huntsman Petrochemical plant and plants operated by Chevron Phillips, Great Lakes Carbon Corporation, Flint Hills and BASF. “In mid-September, following the hurricane, the Valero refinery became engulfed in flames as the plant's workers were bringing production back online, leading to a shelter-in-place order for residents. “Earlier that month I smelled the sour odor of sulfur and learned that the level of benzene, a known carcinogen, at an industrial zone in Port Arthur measured 76 parts per billion—a level nearly 10 times what the state of California considers protective of public health. “I was dealing with a couple of crises at once after Harvey. The restaurant me and my wife own was flooded and severely damaged, and my father-in-law’s house was also damaged and flooded. While trying to help my family and neighbors get back on their feet, we were also being subjected to toxic and hazardous substances with virtually no protection. “Some 30 percent of my neighbors live below the poverty line and are particularly vulnerable. “When malfunctions happen and there are chemical releases, no one usually tells us what we’re being exposed to. “It is essential that we have information about what harmful substances we’re being exposed to, so that I can recognize symptoms and protect my family and neighbors. We need audible alerting systems so that we know when an emergency has occurred and evacuation is necessary. “Fires and explosions worry all of us. But I’ve learned that what we don’t see or smell can cause grave harm. “I take my granddaughter to the park twice a week, but I can’t really enjoy my time with her because I’m worried about her being harmed by toxic substances. “We need the protections the new EPA rule offers. We must know if safer technologies and substances could be utilized to improve our safety and protect us from harmful fires and explosions. We need greater analysis of what causes incidents. And we need better emergency alert systems and coordination with first responders to help us reduce exposure when incidents happen. Hilton Kelley was awarded the prestigious international Goldman Environmental Prize in 2011 for his advocacy to protect Port Arthur’s air and water. Effective incident investigation reports within one year of an incident, and the incorporation of these reports into a facility’s hazard analysis for future chemical management planning. In addition, for the three industry sectors EPA found “have been responsible for a relatively large number of accidents, deaths, injuries, and property damage and have significant higher accident rates compared to other sectors,” i.e., oil refineries, pulp and paper mills, and chemical manufacturers, the rules require facilities to evaluate the use and practicability of implementing inherently safer technologies, chemicals or practices (“IST”) that would lead to fewer deaths, injuries and other harm in the event of a release and report on their implementation. Chemical facility operators would have to meet at least yearly with local emergency responders to share information relevant to chemical incidents at each facility, and to ensure there is an effective plan to protect workers and communities during an incident. In addition, the most hazardous facilities would have to carry out periodic drills and exercises to better prepare for a potential incident. Facilities would have to make some safety-related information that is currently difficult to obtain (though available in a limited number of locations) more accessible to people who live near particular facilities. Communities would be able to request such information directly from the facilities instead of having to file a public records request or visit a federal reading room. Chrisangel, then 3-years-old, rides his tricycle in Hartman Park, Nov. 21, 2013, in Houston, Tex., in the Manchester neighborhood. The Valero refinery is in the background. Chrisangel and his family live on the perimeter of the park. Take the Arkema plant near Houston, for example. State and federal investigations—plus court cases—surrounding the flooding and fire last year are still in progress. But in a November press conference, the Chemical Safety Board’s Chairperson Vanessa Allen Sutherland highlighted how that incident shows the need for the core concepts in the Chemical Disaster Rule—including “better preparation and planning and communication with communities and emergency responders about risk and possible consequences.”33 In addition, according to a white paper by the Union of Concerned Scientists (UCS), both this incident and the plant’s history illustrate why measures in the rule would have been helpful, would likely have begun protecting community members if in effect, and are long overdue. But in March 2017, the EPA’s new director, Scott Pruitt, ordered a three-month delay to the rule just days before it was to go into effect. His reason? Petitions by oil, chemical and other companies. Three months later, Pruitt ordered a further 20-month delay until February 2019, saying the agency may eventually modify the rule but offering no evidence or conclusions showing a need to revoke the rule’s protections for such a long period of time. More than 121 community, worker, health, scientist, and safety organizations including the International Association of Fire Fighters, the United Steelworkers, Earthjustice, the Environmental Data & Governance Initiative, BlueGreen Alliance, the Environmental Justice Health Alliance for Chemical Policy Reform, Union of Concerned Scientists, and the Coalition to Prevent Chemical Disasters—plus former generals, and more than 40,000 individuals—urged the EPA37 to let the rule take full force. These protections are too important to be delayed. A coalition of groups represented by Earthjustice (listed below), and joined by the United Steelworkers Union as an intervenor in support, immediately filed a motion seeking emergency relief from the D.C. Circuit Court to stop EPA from delaying these protections. The United Steelworkers Union represents the workers often hurt first and worst in industrial disasters. In July, eleven states also sued the EPA. Meanwhile, incidents continue to occur at facilities covered by the Risk Management Program. These facilities would have been required to prepare for or implement safety updates under the Chemical Disaster Rule had it not been delayed. EPA and covered facilities make very little information available to the public currently, so there is no comprehensive list of incidents or their impacts. For example, EPA has not released any information about the total deaths, injuries, or shelter-in-place or evacuation orders resulting from these or other incidents over the past year. The fire at the Shell Refinery, as seen from I-10 along Lake Pontchartrain. August 17, 2018 U.S. Court of Appeals for the D.C. Circuit rules EPA’s delay of the Chemical Disaster Rule is illegal and arbitrary. Fire. Locals urged to stay indoors while firefighters respond. [Source] This follows a vapor cloud explosion in 2012 at the Chevron, Richmond refinery, which endangered the lives of 19 workers, led nearly 15,000 people to seek medical treatment, and forced thousands of people in nearby cities to shelter in place for hours. 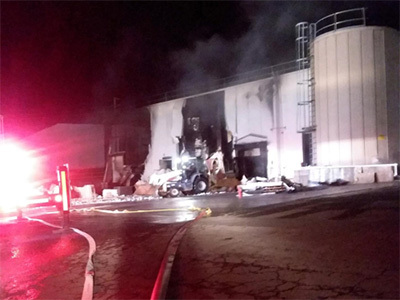 Fire and explosion kills four workers, dozens of other employees are hospitalized. 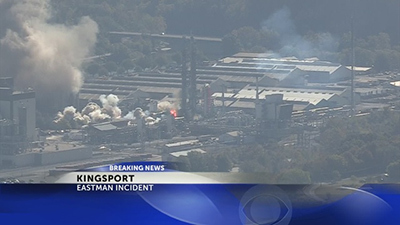 [Source] U.S. Chemical Safety Board investigation ongoing. April 14, 2017 Prudhoe Bay, Ak. William Fontenot Baton Rouge, La. For longtime Baton Rouge resident William Fontenot, the plumes of smoke that rose as the city’s ExxonMobil refinery burned on November 1, 2017, were nothing new. The 75-year-old remembers the fire that sent four plant workers to the hospital in 2016, and the chemical leak that sickened local residents in 2012. He worries that incidents like these could trigger a bigger disaster, like the one he witnessed in 1989. “On the morning of November 1, 2017, at the ExxonMobil refinery in Baton Rouge, Louisiana, a fire broke out and large plumes of smoke were released into the air. For me, this incident is nothing new. I am 75 years old and I live with my wife in Baton Rouge. I’ve lived at the same address since July 1975, and in Louisiana nearly my whole life. Every day when I leave my home to walk my dog, I worry about what is going on at the industrial facilities near me, and what kinds of malfunctions or accidents might occur that day. “The refinery is about three miles as the crow flies from my home, and has had numerous safety problems. Just about every year there is some kind of chemical release, fire, explosion or other issue at the plant. For instance, in 2016, a fire sent four plant workers to the hospital in critical condition. In 2013, a major chemical leak released hazardous substances in the air that caused several people, including children, to fall ill from exposure. “I worry that these types of incidents could trigger a bigger disaster. I will never forget the explosion at the plant that took place on a very cold morning in 1989. It was Christmas Eve and I was home. Suddenly I heard an enormous “boom!” and my whole house shook. Then there was another, even louder sound. When I ran outside to check it out, I saw my neighbor point to the north, and that’s when I saw a giant dark mushroom cloud above the refinery. “Two workers died from the blast. 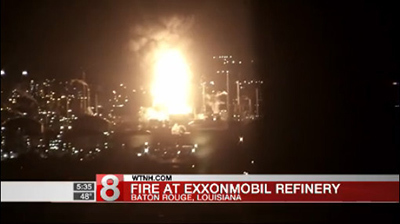 The explosion damaged homes and businesses within a mile of the refinery on both sides of the Mississippi River. The fire door at the governor’s mansion blew open. According to the news, windows up to six miles away shattered from the blast. William Fontenot has served as Chairman of the Delta Chapter and New Orleans Group of the Sierra Club, and Chairman of the Board for the Louisiana Environmental Action Network (LEAN). The lawsuit filed by Earthjustice argues that then-Administrator Pruitt overstepped his authority by delaying the rule in full for such an extraordinary time period. Pruitt’s refusal to follow the Clean Air Act, and his foot-dragging on needed safety measures based only on his speculation that some part of the rule might one day be changed, run afoul of the law.38 Courts have made clear that suspending a rule, just like enacting it, requires actual reasons supported by facts and evidence. Speculation doesn’t cut it, especially when the record before an agency shows such a strong need for measures to be in place to save lives. The United Steelworkers Union has joined as a petitioner-intervenor, represented by Santarella & Eckert, LLC. The states of New York, Illinois, Iowa, Maine, Maryland, Massachusetts, New Mexico, Oregon, Rhode Island, Vermont, and Washington have also filed suit against the EPA. In addition, former regulatory officials, represented by Public Citizen, filed an amicus (or “Friend of the Court”) brief, in support of ending the delay. The Institute for Policy Integrity at NYU School of Law also filed an amicus brief in support of the challenge. Both provided perspective on why the EPA’s Chemical Disaster Rule needs to be in full force to protect fenceline community members, workers and first responders from chemical accidents. On March 16, 2018, fenceline communities, workers, scientists and 11 states, led by New York, had their day in court to oppose the EPA’s delay of the safety measures in the Chemical Disaster Rule. The D.C. Circuit pressed attorneys on both sides with questions about EPA’s action in a court hearing that lasted for over two hours. On August 17, 2018, the U.S. Court of Appeals for D.C. ruled that the EPA’s delay of the Chemical Disaster Rule was illegal and arbitrary — ending EPA’s postponement of these life-saving protections. The Chemical Disaster Rule will now need to be implemented by industry, to prevent and reduce deaths, injuries and hazardous exposures from chemical incidents for communities across the country. To join the fight, please tell the EPA that we can’t afford to weaken the Chemical Disaster Rule. On Aug. 17, the United States Court of Appeals for the District of Columbia ruled that the EPA’s 20-month delay of the rule was unlawful. But EPA is still considering its proposal to rescind the rule’s prevention measures permanently and to weaken and further delay emergency response coordination and community information requirements. EPA’s proposal would leave communities around the country without vital protections against chemical disasters, even while evidence continues to mount showing the need for these protections against chemical spills, fires, and explosions. A public comment period on EPA's proposal concluded on Aug. 23. All comments on the proposal can be found on the public docket. You may also reach out to any of the organizations listed below. The EPA provides resources at the Report Environmental Violations webpage to provide tips on possible environmental violations that require investigation. To track recent incidents (including some at Risk Management Plan-covered facilities), please see the Coalition to Prevent Chemical Disaster, U.S. Chemical Safety Board and the United States Coast Guard National Response Center. This report was made possible by BlueGreen Alliance, California Communities Against Toxics, Coalition For A Safe Environment, Coming Clean, Community In-Power & Development Association, Earthjustice, Environmental Justice Health Alliance, Ohio Valley Environmental Coalition, Texas Environmental Justice Advocacy Services, and Union of Concerned Scientists.